Welcome back to the One Room Challenge! If this is your first time visiting, I’m over halfway through a six week pantry makeover and the finish line is in now in sight! Check out my week #1 post to read more about the challenge and to see the before photos. Week #4’s update is WAY less labor intensive than week #2’s painting, and week #3’s tiling. My body is quite thankful for that! Despite the reduction in manual work, I still had some great accomplishments! 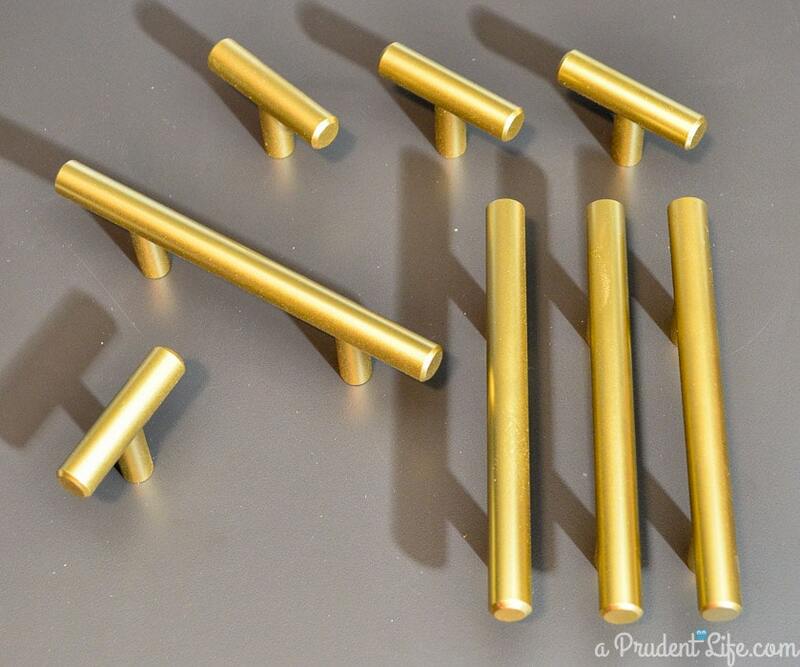 I ordered, received, and goldified my cabinet hardware. Ordering it silver and painting it myself was SUPER quick and saved me over 75%! I saved even more by buying enough to FINALLY put hardware on our kitchen cabinets as well. I figured out a little trick to make transforming the hardware really easy – read all about it, as well as the breakdown of my cost savings here. 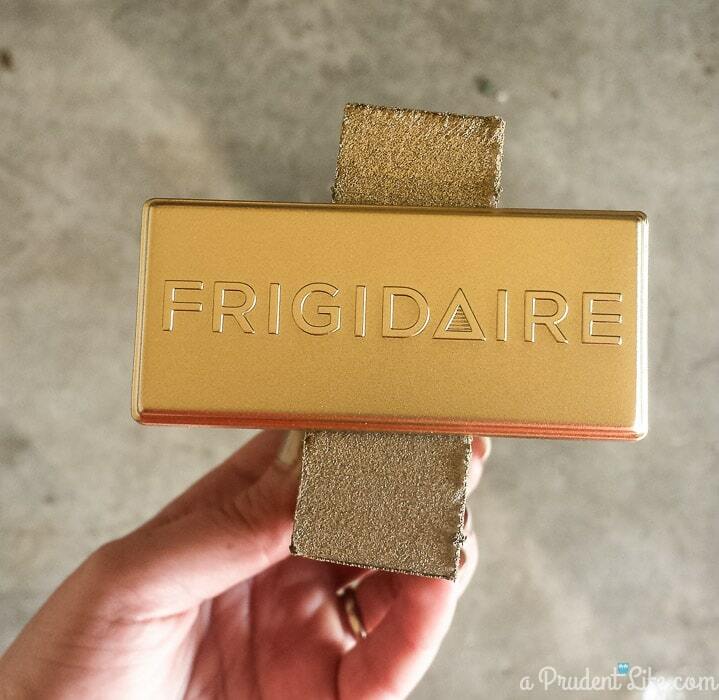 Since I’m obsessed with gold spray paint, the fridge is getting some gold love too. I was also busy shopping. First, I found some great organizing products for our open shelves. I’m loving the Lucite handle things on these BHG containers. You flip the Lucite piece to create an airtight seal. I LOVE LOVE LOVE pretty, functional storage! And then there is the light fixture. I’ve got a plan that is skewed slightly to the crazy side on that fine line between crazy and genius. 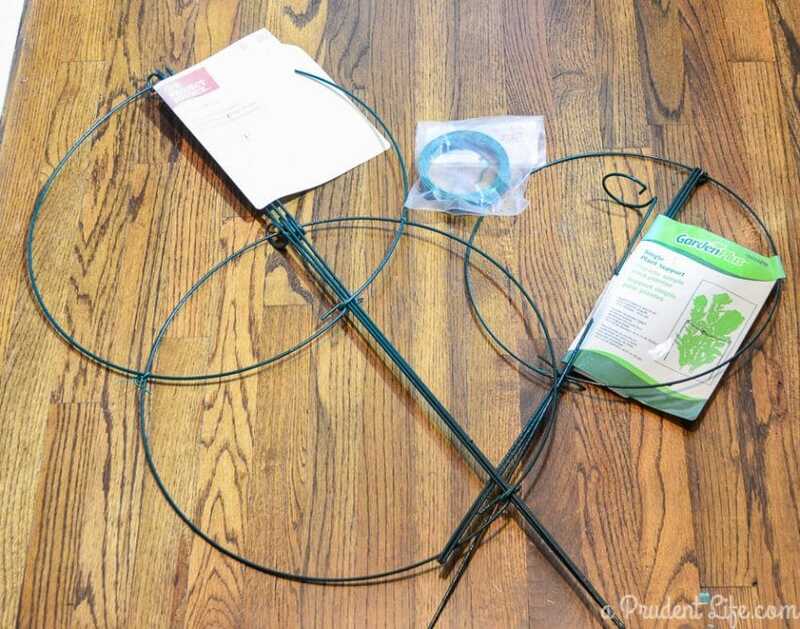 I’ve veered some from my inspiration fixture because I found some cool potential materials…in the garden section at Lowes. I still have no idea if my plan for this mess of products will actually work, but no risk, no reward, right? The light fixture and crown molding are the key projects for next week. I’ll also be starting on the organization. I can’t wait to have our food back in the pantry and not all over the kitchen countertops. That’s it for my short and sweet update this week! Don’t forget to check out everyone else’s progress over at Calling it Home! So intrigued about your lighting plan- can’t wait to check back next week and see!!! And yes on gold spray paint- it’s addictive once you start! I’m intrigued by my lighting plan too 🙂 Hopefully it will work! And yes – I seriously can’t stop once get out a can of gold spray paint. I always end up searching around the house for anything else I can transform. Gold spray paint is the best! I had some chrome Bertoia-style chairs that I got off of Amazon, and they were totally transformed by it. Such a good idea to use it on your hardware! Oh! I bet the Bertoia-style chairs are AMAZING in gold! I AM ALL ABOUT THAT GOLD! Watch out, because I am going to want to move into your pantry when it’s all done!! I cannot wait to see what you do with that light fixture!! Ohhh … can’t wait for that light fixture!! I’m officially very perplexed by your ‘supplies’. Also .. I love gold spray paint. I had to take a break from it while preggo, but I’m back with a vengeance!! 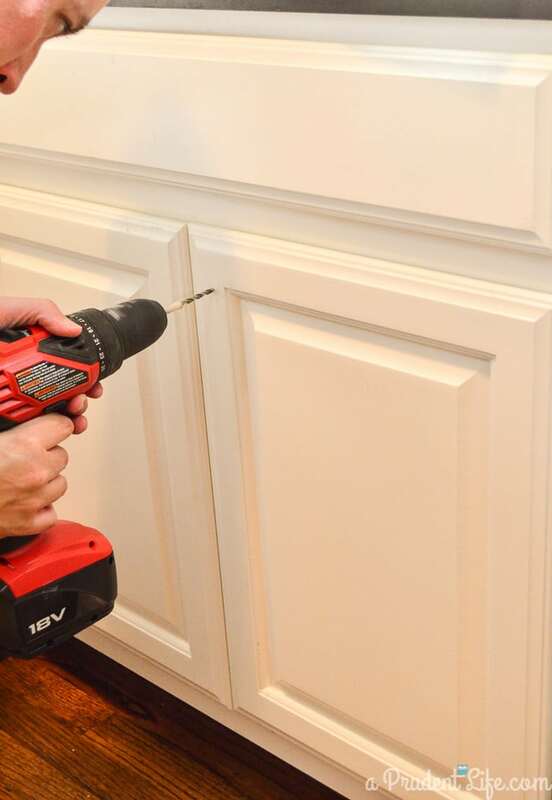 You are going to have the fanciest pantry ever!! love that hardware!! 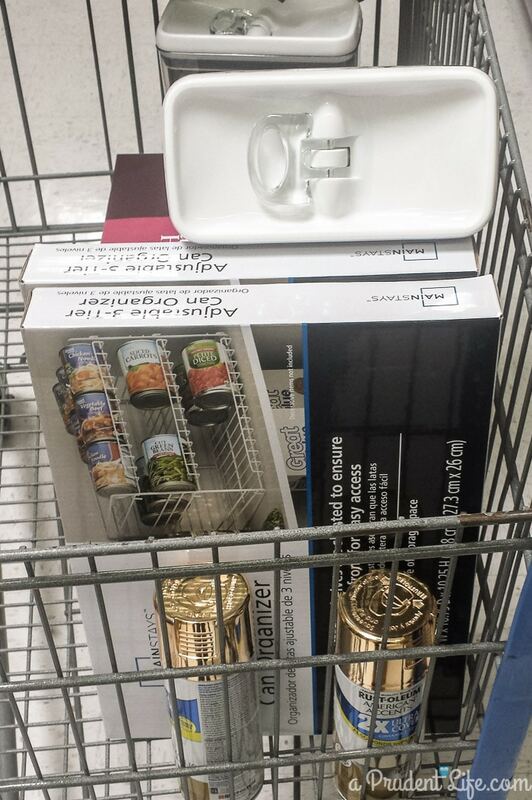 i had a complete painting fail on my cabinet hinges so I ended up ordering new ones…probably cost me less than the three bottles of wine I would have undoubtedly had to buy if I tried to paint any more hinges! i am really really excited to see your finished space, I have loved following you! Thanks Tara! 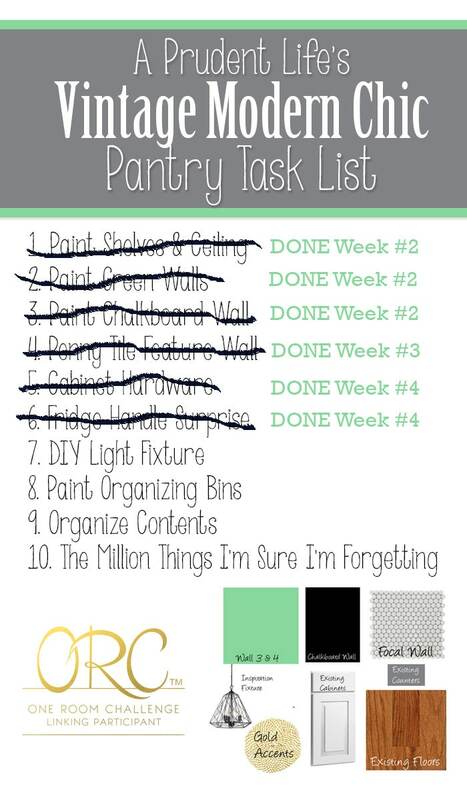 I’m loving your laundry room progress too! Looking good!! I love that you spray painted the hardware!!! Great idea! Can’t wait to see this all come together! Ok, that gold refrigerator detail is adorable! Looks like you are making great progress on your list. Looking forward to the light fixture. Love the gold spray painted hardware!! I’ve been completely obsessed with gold spray paint too recently 🙂 This pantry is going to be so chic! This is going to be so awesome!!!! I can’t wait to see more! And I can’t believe we only have 2 weeks left!! AGHHH!! I love all the gold touches and can’t wait to see that plate on the fridge. And those storage containers are too chic!